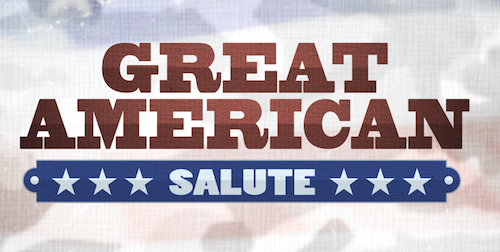 Join Rodney Atkins and GAC (Great American Country) for the “Great American Salute” Memorial Day Weekend starting Friday, May 25, 2012. The television special is a salute to the men and women who wore the uniform and those who served our country with the ultimate sacrifice. *Special will re-air through Monday, May 28th. Visit www.gactv.com to check local listings.